Baahubali has given me a nicer opportunity to do one film and put it up in different languages so it has opened up a bigger spectrum. Baahubali, the multilingual movie, which released in India on July 10, 2015 wowed not only domestic audiences but created a sensation globally with its superb special effects and stunning graphics. To date, the movie has grossed over Rs 600 crores worldwide and continues to be the talk of the town. In a freewheeling interview to The News Minute, the movie’s star Rana Dagubatti shares his views on the movie and his forthcoming venture among other things. I think including you, this one question is the most asked question in my life. So do you know why Katappa killed Baahubali? Give us a hint. Did Bhalaladeva have anything to do with it? Of course I will know no (laughing). But the idea is we want you all to watch the big large spectacle, which is coming soon. That you have to watch in Baahubali part-2, that is why it is called the conclusion. 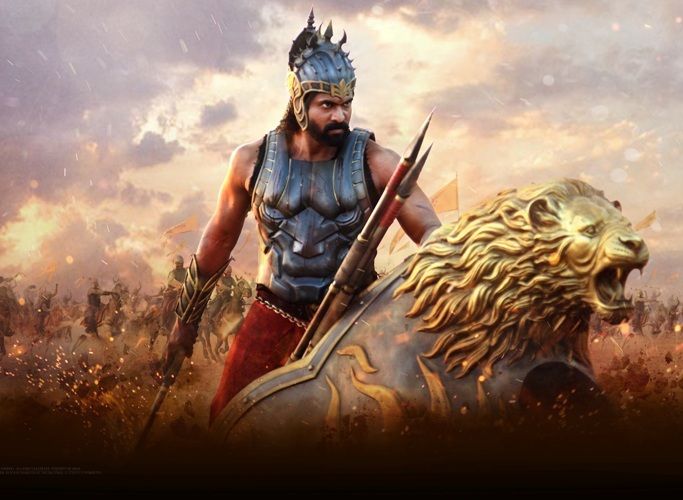 Has Baahubali opened the door to Bollywood in a bigger way for you? It has obviously given me a nicer opportunity to do one film and put it up in different languages so it has opened up a bigger spectrum. Moving away from Baahubali. 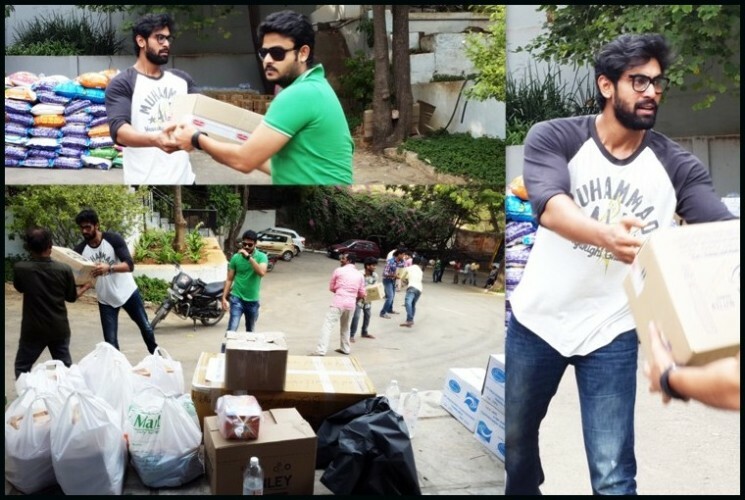 During Chennai floods, we saw you getting involved quite a bit. What motivated you? Obviously Madras is my home, I was brought up there so it is not easy to see such a disaster in Chennai and I was shattered looking at what happened to the people. So I wanted to do something for Chennai and yes I am really glad that I could mobilize the work with the help of my fellow actors and others. Do you think stars have become more socially conscious and they want to take part and help society in ways they can? It was always there. There are many people who want to help for a cause. There were many who came together and helped Chennai. The visibility is much larger and the strength to mobilize things are much bigger so I guess it apparently helps the cause. As a star, you have not shied away from multi-starrers. Do you think they make more sense revenue-wise? Such things never bothered me, for me what matters is the story. And if the story is really big, it will obviously need many stars to present the story. So end of the story matters the most. As someone from a family that has been associated with Tollywood for decades, do you wish more had been done to ensure that women are not mere props in Telugu movies? I feel it completely depends on the film. When you say that women roles are cliched in Telugu cinema, I would suggest you to watch Baahubali. The three women - Ramya Krishnan, Tamannaah Bhatia and Anushka Shetty – have played their part and literally carry the film on their shoulders. Do you as an actor feel uncomfortable when the script only requires your leading ladies as decorations? Well till now I haven't done such movies but yes in Rudramadevi, where Anushka was the hero of the film and Allu Arjun and I had different characters in the movie. I can't generalize this as my characters are based on the story and are a bit different from others. Do you think it is time Tollywood changes in how it portrays women? In movies like Baahubali, Arundhati, Rudramadevi, actress Anushka is the hero of the film, I really appreciate Anushka for her fine acting skills. She is a hero in every right. The audience has put them up on a high pedestal and deservingly. So I don't think that's true. It always depends on the choice of the actor. Do you have a fascination for movies with war themes? Earlier Baahubali, now Ghazi and you are even a big fan of Star Wars? We literally grew up in the world of movies and yes I have a soft corner for such themes. I am also a big fan of Star Wars. Coincidently, even Baahubali was also a war-themed film and now Ghazi also. But yes it is based on an underwater war. You just started shooting for Ghazi? How did this film Ghazi (bi-lingual) happened to you? Is it India's first submarine-based war film based on true incidents? Tell us about your role in the movie? Yes the shooting just started and it is a tale about the Pakistani submarine PNS Ghazi sinking off the Visakhapatnam coast in the Indo-Pak war of 1971 and it is India's first submarine-based war film based on a true incident. Coming to my role in Ghazi, I will reveal it a little later. May be a little ahead of the movie’s release. Do you have any plans for Rama Naidu Studios? Well we have plans to produce more films, so we are working on partnerships. We have also signed one comedy film with Akshay Kumar, which we will start around Sankranthi. I am also working in other industries like Tamil and Kannada. You are even working for the sequel of your debut movie 'Leader' which was released in 2010, tell us about it? The journey of the characters in Leader will continue in the sequel but yes in the sequel you will see the growth of my character and a more experienced Leader. And I have to ask the most clichéd question: When is the most eligible bachelor of Tollywood planning to get hitched? There are a lot of others who are not married in the industry then why this question to me (wondering). Well, I haven't found the girl of my choice yet so when I will meet her I will definitely tell you.